We rolled into the asphalt parking lot, parked on the north end of the front line with the other bikes along the edge of the road, then shut the rumbling v-twin engines down. 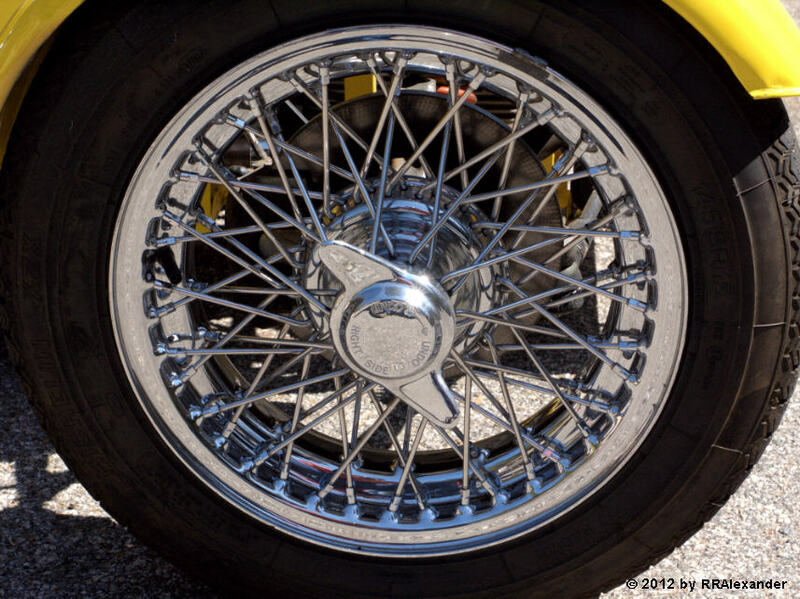 I peered downhill through the mountain air through the riot of color and chrome, and spotted a large patch of yellow. “Looks like it.” Tim said. I pulled the camera from a saddlebag and moved toward the yellow. 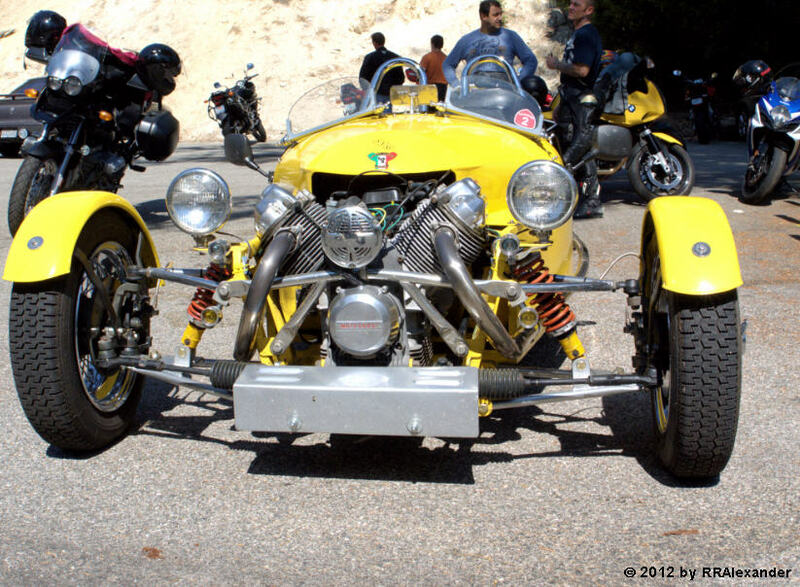 The maybe-Morgan three-wheeler was parked in the front row of motorcycles on the south side of a tree surrounded by asphalt. 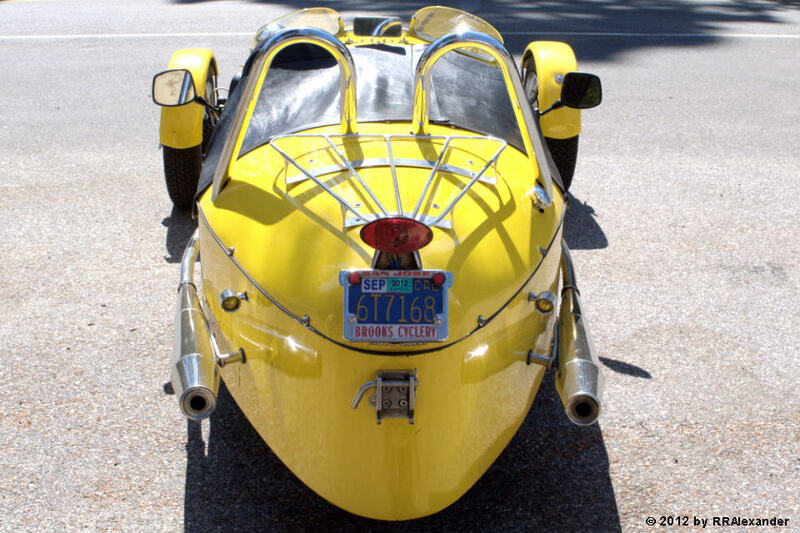 I walked around the tree on the road side to get a first glimpse of the v-twin engine mounted sideways on the front of the sports car-like body. At first glance, something didn’t look quite right. 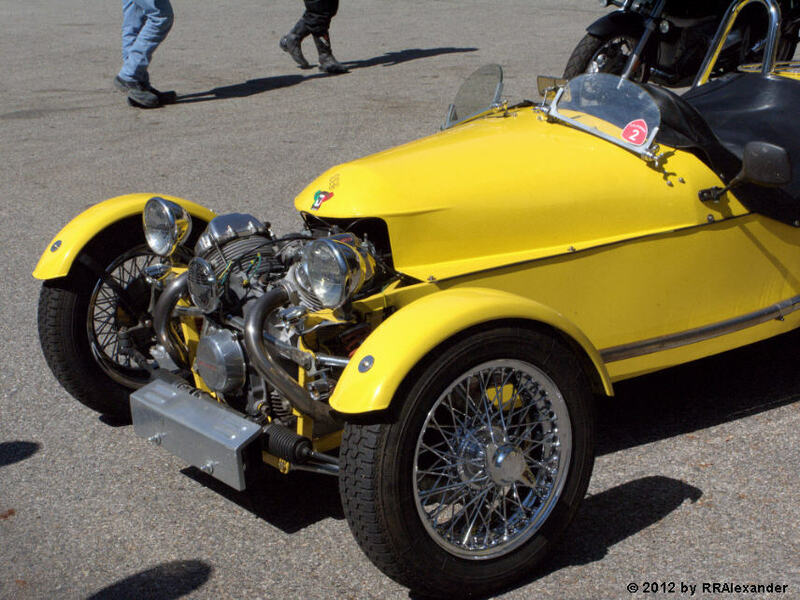 The engine was mounted sideways alright, but something was different than what I expected to see on the Morgan. A few steps closer to a ninety degree view of the front of the trike, the something-not-quite-right became clear. The engine was a Moto Guzzi. I captured a few digital frames, then wandered off to look at the two-wheel motorcycles in the lot. 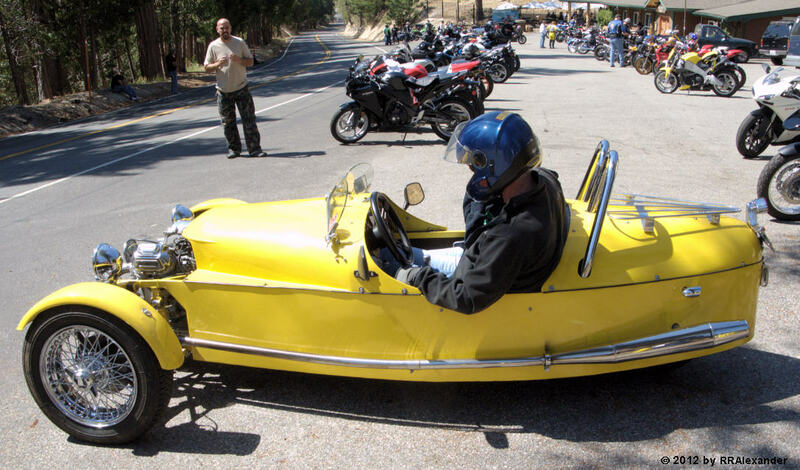 The trikes are classified as motorcycles, not cars, by the People’s Republic of California, despite being more akin to automobiles than motorcycles. 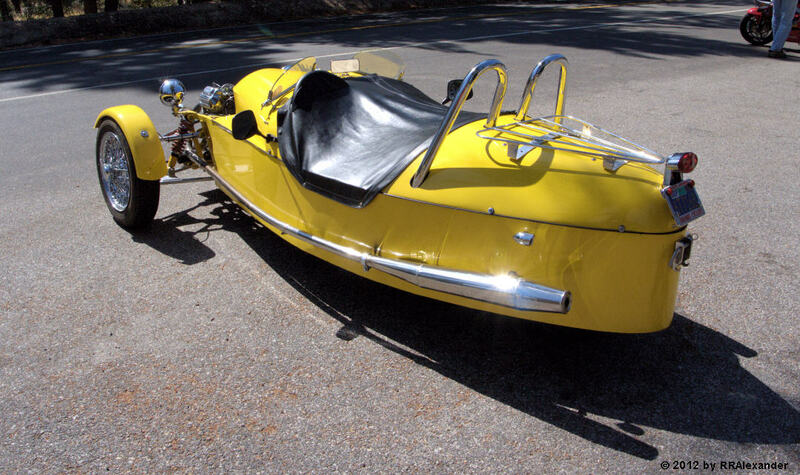 And just to make that official insanity obvious, motorcycles with sidecars attached are classified as cars. Never underestimate the boneheadedness of large institutions such as state governments. The driver settled into his seat and started the engine. ” It’s a thousand CCs.” He said, then drove onto the road.